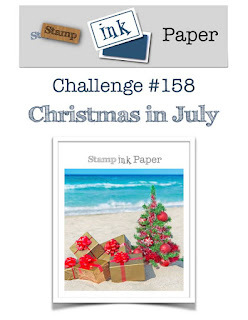 Welcome to this week's "Christmas in July" challenge at Stamp Ink Paper. Here's my card using Santa's Sleigh Framelits and the retired Label Card thinlits to easily create the flip design. This is the first Christmas Card I've made this year and July is a perfect time for me to start. I'm in Australia and this is our Winter. Its a perfect time to spend indoors creating. I always take the opportunity to use Christmas in July as a theme for a Christmas card class with my ladies to start making our Christmas cards for the year and this year is no exception. I've used cardstock of Whisper White, Dapper Denim, Lemon Lime Twist, Marina Mist, Silver foil and Dazzling Diamonds Glimmer for my card. I took the opportunity to use more retired product from my stash for my first Christmas card of the year. The picture above shows the front flip of the card and this picture shows the reverse side (back). 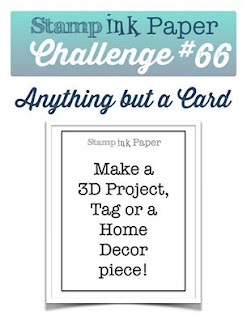 The patterned paper I've used on the card is from last year's Color Theory Designer paper stack. These next photos show what the card looks like on the inside. Thanks so much for stopping by today. 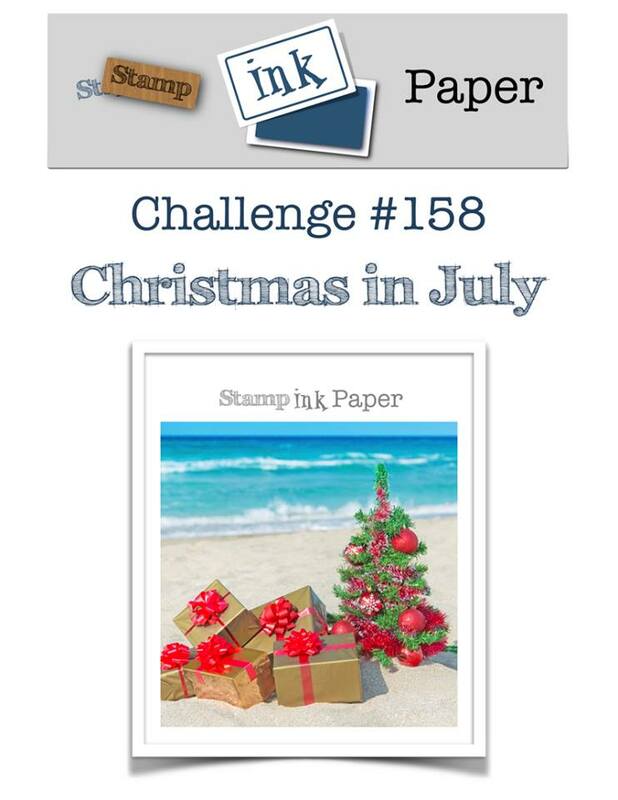 We look forward to seeing your Christmas in July themed projects in the gallery at Stamp Ink Paper. Have a great day.